I still don’t really understand how it happened, but when I was about seven or eight years old and still living in the then Communist Poland, our school went to see Star Wars: Return of the Jedi in the cinema. The film made an enormous impression on me, at that stage not necessarily a good one. I was too young to digest the violence, especially when perpetrated against the cuddly, cute Ewoks. The scene where one of the Ewoks realises that their friend is not moving and will not get up again haunted my childhood dreams for many months to come. Despite this heartache and trauma, there was something about the Star Wars Universe that captured my imagination. When a few years later, I had the opportunity to see the entire original Star Wars trilogy, I was hooked for life. I cannot count how many times I have watched these movies, and how many more times I still will. I don’t seem to ever tire of them. 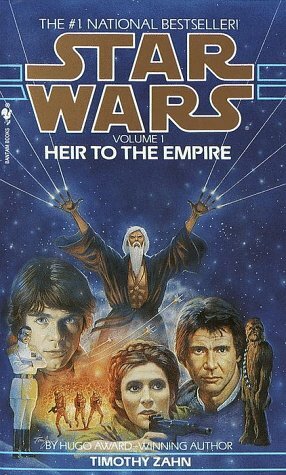 I have also read some of the accompanying books, of which Timothy Zahn’s Thrawn Trilogy is my absolute favourite. I am not a huge fan of the recent Star Wars film trilogy, although I love the way it portrays Anakin’s path to the Dark Side. And, obviously, I am counting the days until the first film in the latest Disney trilogy is released next year. I hope I can go and see it with Krystian, my brother, who is just as much a fan as I am. 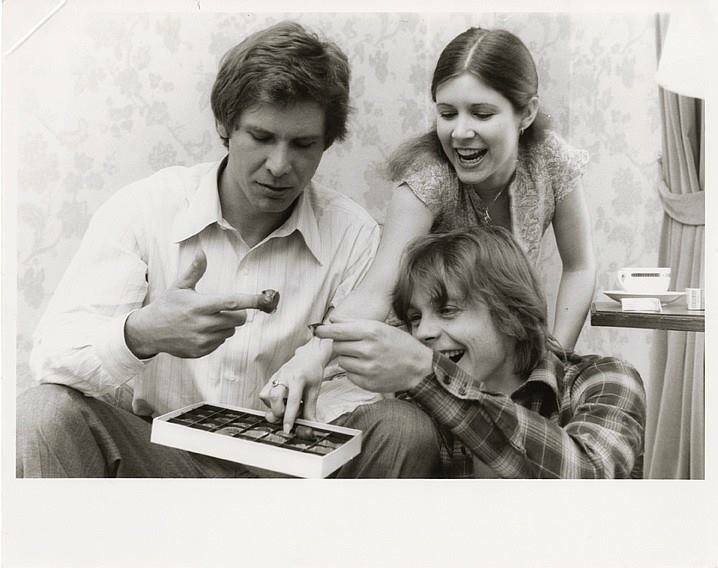 The fact that the original actor trio: Carrie Fisher (whom I also adore as an author), Harrison Ford, and Mark Hamill are going to be starring in the trilogy is fantastic. 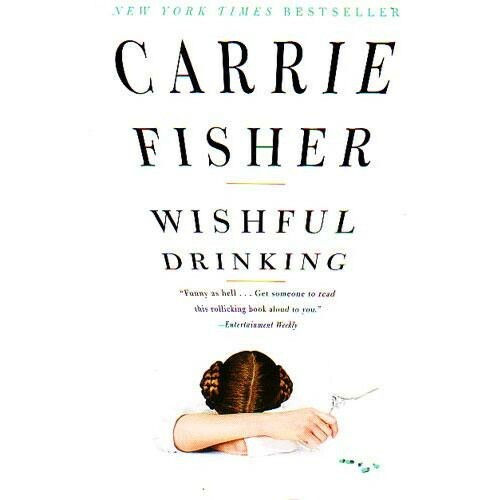 I have followed their careers with great interest for many years (I saw another all-time favourite for the first time – The ‘Burbs – just because Carrie Fisher starred in it). To see them reunited on a film project makes my heart sing. When I was thirteen and had a terrible crush on Luke Skywalker, I promised myself that one day when I am old enough, I am going to travel to Hollywood, declare my love to him, and we will live happily ever after, travelling through the Universe and defending it from all Evil (at that stage, I didn’t differentiate much between an actor and his role…). Then I grew up (and found out that Mark Hamill was one of the few people in Hollywood who actually seemed happily married and not looking to go on quests to rescue the Universe with some crazy Jedi wannabe). At some stage, while I was still at high school, my friend Thomas suggested that as a Star Wars fan I might enjoy watching Star Trek which he did religiously. I had accidently seen a few scenes from the series when zapping through TV channels but hadn’t found anything appealing in them. But then, Thomas asked me to just watch one full episode before passing final judgement. To humour him, I agreed, and that very afternoon settled down after to school to watch. I am not sure that I recall that first episode I saw correctly, but I know it blew my mind. That is how I became a Trekkie. Since them, I have also seen everything that there was to watch connected with the franchise, including the first seasons of Star Trek from the 60s. I was amazed how watchable they still were. 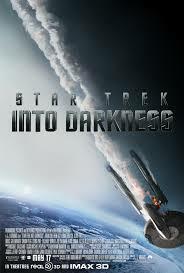 A year or so ago, one of our channels available in South Africa repeated all the Star Trek feature films. I’ve always enjoy seeing those, too. What I like about them most is their subtle or not so subtle commentary on contemporary socio-political developments. J.J. Abrams’ latest Star Trek: Into Darkness’s take on ‘the hunt for a dangerous war criminal’ is not exactly subtle but brilliant nevertheless. It just shows you that real baddies are not always easy to identify. Whether trekking or warring, these movies/series make one think beyond their special effects (no matter how spectacular), and that is what I treasure about them most. That, and the humour, the values, and the friendships they portray (Spock and Kirk, or Data and Geordie, or Luke and Han). I like the fact that the first Star Wars movie was born the same year I was. My brother and I greet each other like Vulcans. Once I tried wearing my hair like Princess Leia but my friend Jeremy pointed out that it rather looked like Chewie’s. I like reaching for the stars. And a belated happy birthday to George Lucas! This entry was posted in Comments, Memories and tagged Anakin Skywalker, Carrie Fisher, Chewie, crush, Darth Vader, Data and Geordie, Disney, Earl Grey, Ewoks, films, friendship, George Lucas, Harrison Ford, Hollywood, J.J. Abrams, Jean-Luc Picard, Jedi, Jeremy, Krystian, Luke and Han, Luke Skywalker, Mark Hamill, movies, original Star Wars trilogy, Poland, Princess Leia, relicator, Return of the Jedi, series, Spock and Kirk, Star Trek, Star Wars, Star Wars film trilogy, tea, The Burbs, Thomas, Thrawn Trilogy, Timothy Zahn, Trekkie, trilogy, values, violence, Wishful Drinking on May 15, 2014 by Karina.